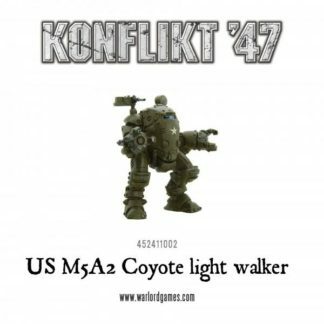 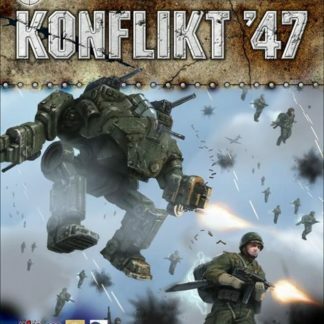 Konflikt ’47 is a World War 2 wargame which adds in some Weird War elements, like walkers, laser guns and zombies. 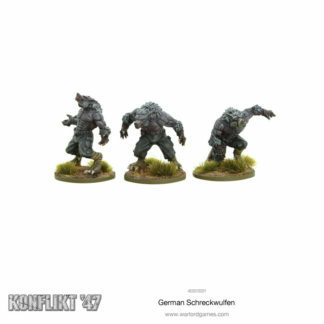 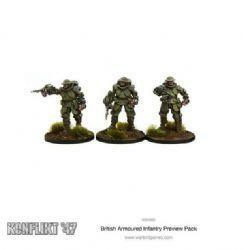 Konflick is a standalone game inspired by the hugely successful Bolt Action,with miniatures designed by Clockwork Goblin Miniatures and produced by Warlord Games / Osprey Publishing. 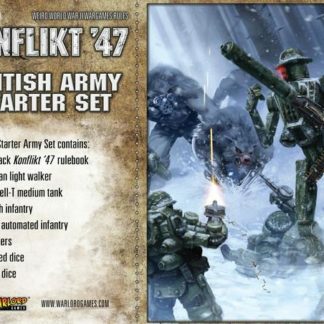 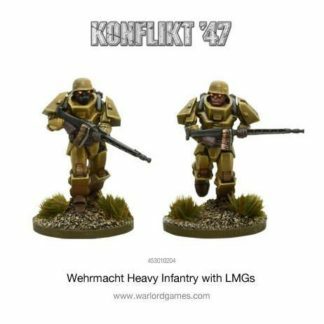 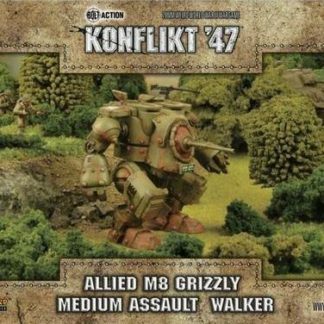 Adding to the core rules that many gamers are familiar with from Bolt Action, Konflikt ’47 allows the addition of completely new types of units and models to existing 28mm Bolt Action armies and the creation of completely new forces set in the alternate future of 1947. 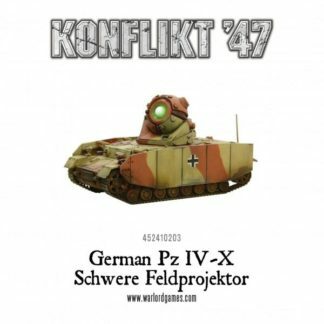 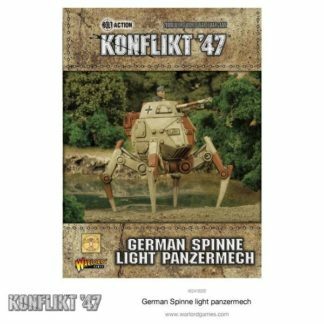 Exploiting new technologies revealed from the first nuclear explosions, Konflict ’47 sees the Axis and Allied forces quickly develop new tanks and strange armoured walkers to become the vanguard of their armies, supported by new highly equipped or terribly twisted troops. 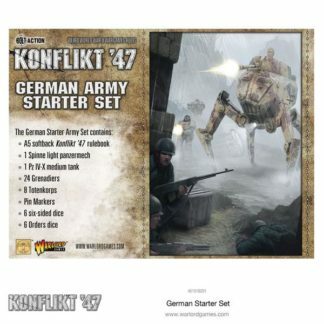 With the Soviet Union seceding from the Allies the war now becomes a three-way conflict!